On the final day of the 12th annual Sculpture by the Sea, Cottesloe, New York City based artist, Zilvinas Kempinas from Lithuania and Suzie Bleach (originally from Geraldton) and Andrew Townsend from NSW were announced as the joint recipients of the EY People’s Choice Prize for their respective works Kakashi and A Burden. 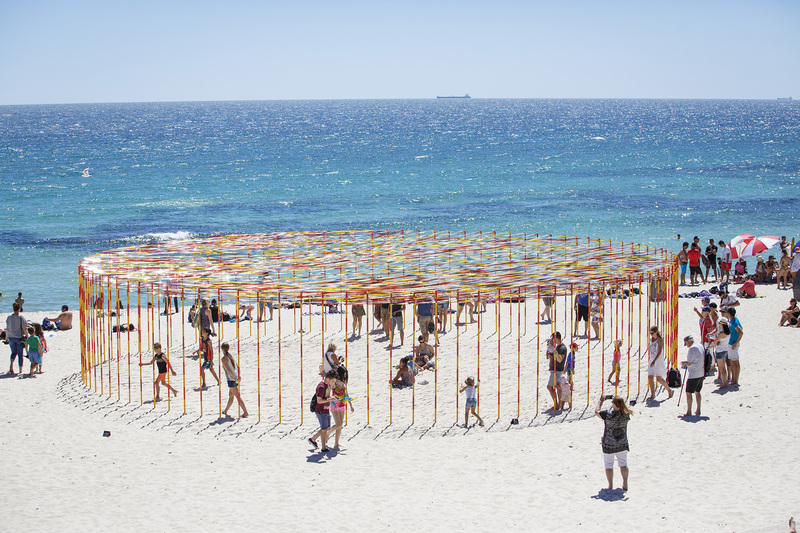 Kempinas’ stunning kinetic work made of steel snow poles and bird repellent tape, alongside Bleach and Townsend’s sculpture made of steel and various objects captivated visitors along the water’s edge at Cottesloe Beach during the 12th annual Sculpture by the Sea, Cottesloe. The $5,000 EY People’s Choice Prize is voted for by visitors to the exhibition and was awarded at Cottesloe Beach by Sandy Anghie, wife of Michael Anghie, Managing Partner Resources, EY. Congratulating the recipients, EY’s Perth Managing Partner, Michael Anghie said, “EY is proud to be in its third year of sponsoring Sculpture by the Sea, Cottesloe and in particular the EY People’s Choice Prize. On behalf of EY I would like to congratulate this year’s EY People’s Choice Prize recipients on their fantastic pieces of art which captured the hearts and minds of the people of Western Australia. 7 year old Caitlin Shilington from City Beach Primary School announced the recipient of the $2,000 Kids’ Choice Prize, which was also awarded to Zilvinas Kempinas. 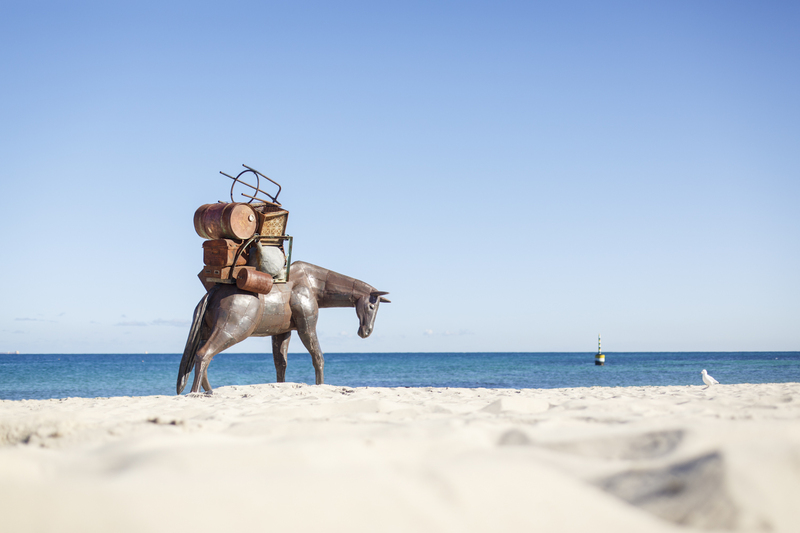 The award is voted for by children who visited Cottesloe Beach during the 17-day exhibition.